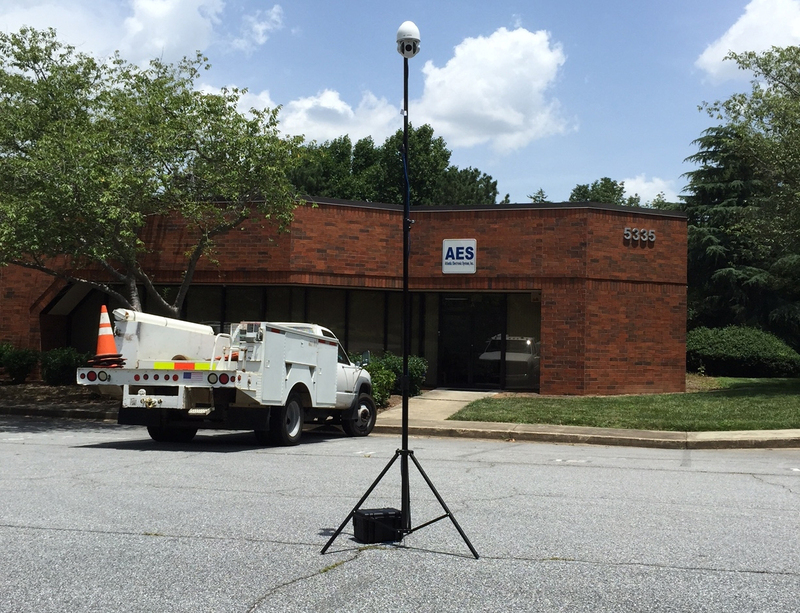 The RD-85L is a mobile camera system that can be monitored and controlled remotely. connect assemblies for easy set up and breakdown. Tripod can be extended up to 10 feet tall. The camera's 10x motor-driven optical lens has digital multiplier providing higher total zoom. connect up to 16 RD-85L cameras or other similar AES IP cameras. and out and/or Panning and Tilting. monitoring, remote monitoring, construction management,etc.